Sustainable Waterloo Region is proud to partner with the Region of Waterloo to run TravelWise – a commuting support network for local employers. 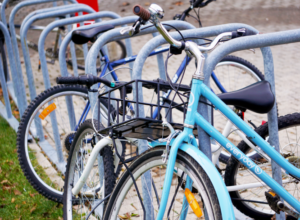 This program allows organizations across Waterloo Region to offer innovative and sustainable transportation options to their employees in order to reduce the number of single-occupancy vehicles traveling on our roads. By promoting sustainable transportation choices like walking, cycling, taking public transit, or carpooling, TravelWise eases parking concerns, relieves traffic congestion, reduces greenhouse gas emissions, promotes healthy lifestyles, and improves quality of life. Download an overview of TravelWise here.